Albertus Viljoen, a farm manager and agricultural extension officer is one of the many Namibians who is getting technical experience and know-how from Chinese experts, following the successful implementation of the 2014 tripartite agreement between Namibia, the Food and Agriculture Organization (FAO) of the UN and China, on the South-South Cooperation (SSC) programme. 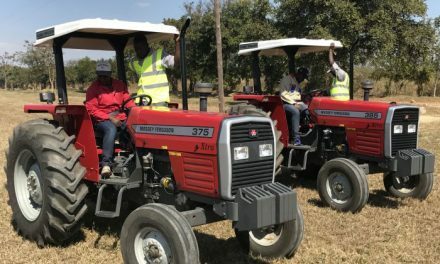 Small-scale farmers and agricultural enterprises are benefiting directly through hands-on training and on-farm demonstrations. 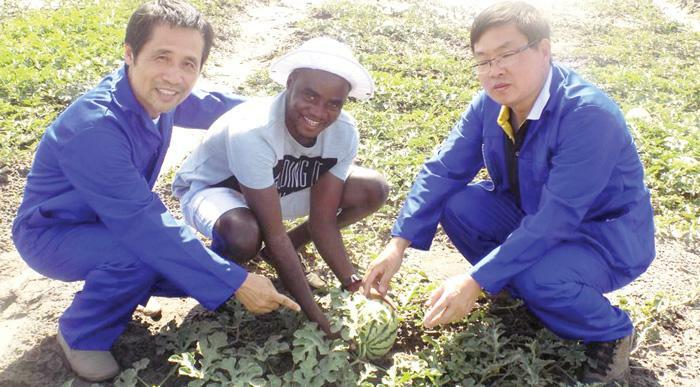 Namibia was allocated US$1.5 millions from China through the agreement and a visit in March by a South-South Cooperation field backstopping mission to several projects is testament that a significant number of the agricultural projects are flourishing. 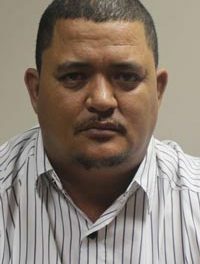 Viljoen, like his other Namibian counterparts is currently working hand in hand with the 15 Chinese experts who arrived in 2015 and were deployed in the Omusati, Kavango East , Kavango West, Zambezi and Khomas Regions. FAO Representative in Namibia, Babagana Ahmadu in an interview said that good results were achieved in the areas of rice production and horticultural crops as well as an improved understanding and mutual exchange on veterinary policies. “Watermelon grafting technology was introduced, showing high yields in Mashare and Etunda. Similarly, compost fertilizer technology was demonstrated by using local resources and animal manure. This was also tested in maize cultivation,” he added. As local food production is critical for Namibia to become self-sufficient and ensure food security, Ahmadu said that many parts of the country have and are still benefiting from these experts, notably the Kalimbeza rice projects where they taught the locals some techniques on selection and cultivation of rice. “60ha of rice cultivation was established by mechanical seedling transplanting with improved productivity. While a drip irrigation technology was introduced at Etunda for tomato production,” he added. Khaiseb Siegfried, another extension officer and head of virology is also benefiting from the improved understanding and mutual exchange on veterinary policies. The outcome in this specific project is of great importance to the livestock sector as it addresses the Chinese import requirements for meat and meat products from other countries. To signal the progress, a total of at least six Namibian laboratory technicians and scientists are being trained to carry out analyses for the purpose of exporting meat to China. Despite the programme showing solid progress, a number of hurdles have been experienced, as there is limited communication which prevents farmers from participating and learning new technologies. “A lack of in-depth understanding of SSC technology-sharing is slowing down its subsequent transfer between the Chinese cooperants and their counterparts. The delay in procurement has slowed down the implementation of the programme,” the field backstopping mission noted. The South-South Cooperation field backstopping mission established that despite facing budget constraints, special counterparts’ funding for the SSC project was made available for workshops and training.